A meditation and ceremony to open our space. Check in and sharing with heartfelt listening. Followed by a nourishing activity brought by the women attending. We share tea and food brought by the women attending. Do you ask participants to bring anything, wear red or make a donation? : Participants may wish to bring cushions to sit on, we have some available. Well+ let us have the space for free. Women could bring food/snacks to share and tea but we do have mint tea available. If women wish to wear Red they are welcome to but we are very much “come as you are”. 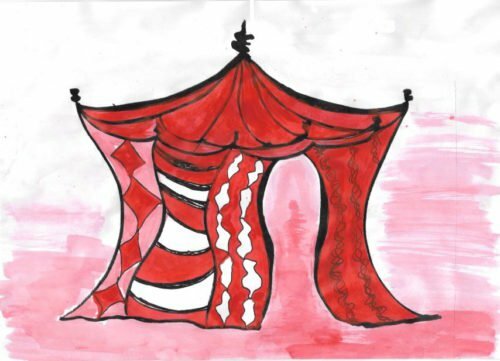 Being in a Red Tent is like coming home… coming back into ourselves, a space in which to listen deeply to how we feel and what we need, in connection to our wombs and heart, in the company of other women. A place to renew ourselves deeply, to rest and to be… letting go of all effort and striving. Remembering the power of sisterhood! Healing medicine for modern women.